The Andersonville Chamber of Commerce recently celebrated their 50th anniversary and they hosted bloggers for a culinary, shopping or medley tour. The tour included tastes, history, discounts and a chance to speak to the owners at each stop. Today I want to show you one of the spots on the medley itinerary: Milk Homemade. 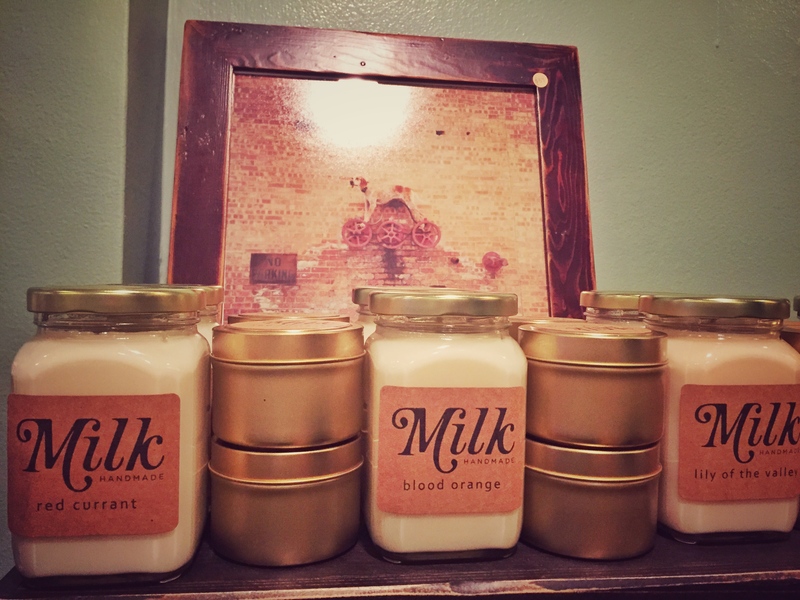 Milk Handmade has independent, handcrafted goods from local designers. Including clothes, bath items, jewelry and more. An absolute must is the horchata scented candle –– fresh cinnamon scent will make your mouth water, home smell delicious and makes a great gift. Consider shopping local the next time you are looking for something unique for yourself or others.